applescript ⋆ 100% Private Proxies - Fast, Anonymous, Quality, Unlimited USA Private Proxy! I have used Automator to create an app bundle that activates an app (“Fuse”) within the Resources directory of the bundle, which then opens the file “Exolon.tzx” (also located in Resources). However, I can only get this to work when pointing to the full location of “Exolon.tzx” while the app is on my Desktop. Obviously, when I move the app it no longer works. What do I need to change in this script to have it point to and open “Exolon.tzx” regardless of where I keep the app (in particular, I want it to work when I transfer the app to another Mac). I’m trying to calculate the time between a random date from today. But I getting some issue sometime. I’m trying to wrap my head around AppleScript. I have a simple project to capture screenshots every several seconds and save them to a folder. I could use some help sorting out how to properly use the date and time functions within the script. I have a FileMaker Pro database of music files which uses AppleScript to pass it’s search results into an iTunes playlist. I would like to use VLC instead of iTunes to play the audio files since I have a number of FLAC files which iTunes will not play. However, if I wanted to instead play a mix of songs from a variety of folders I need to be able to insert each file path into the VLC player. How can I pass the search results of these individual tracks to VLC to play? When I test this, I get the error message Can’t get "play/pause" of window 1. Access not allowed. Is there any way around this? Don’t judge, my first code lol. How do I fix the stated issue and suggestions for improvement would be great. I just tried making something to pause music when I started a video and start playing again when I pause or close it. set str to "🔊" set playing to "playing" set paused to "paused" delay 1.1 tell application "iTunes"     set playerstate to (get player state) as text end tell tell application "Google Chrome"     get (count every tab of every window) as number     set ntabs to result end tell repeat until (ntabs = 0)     tell application "iTunes"         set playerstate to (get player state) as text     end tell     if playerstate is playing then         tell application "Google Chrome"             if title of front window contains str then set noisy to true             if not (title of front window contains str) then set noisy to false         end tell         if noisy = true then             tell application "iTunes" to pause             repeat until (noisy = false)                 tell application "Google Chrome"                     if not (title of front window contains str) then set noisy to false                 end tell             end repeat             tell application "iTunes" to play         end if     end if     tell application "Google Chrome"         get (count every tab of every window) as number         set ntabs to result     end tell end repeat quit application "MusicPause"
Is there a way to get the actual HTML of a current active tab in Chrome? Some websites use the position on the page to induce an AJAX call to expand the page further. So working with a URL only won’t cut it. Actually grabbing the current HTML is what I’m after. At the moment, I can ask Chrome to open a new tab with the source of the tab, but that’s a bit cumbersome. The libraries haven’t shown me anything with regards to grabbing current active HTML. 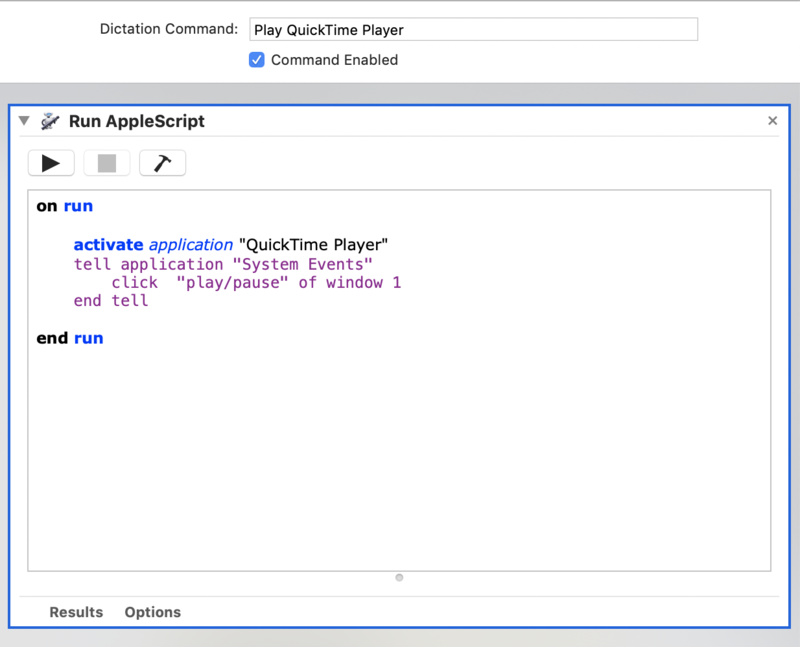 Can I somehow use AppleScript to get the current active tab HTML?